Every woman deserves to look and feel beautiful, but animals shouldn’t have to suffer for it. In recent years there has been a shift away from inhumane practices in the production of personal care products. Cruelty-free living is easier than ever! If you are thinking about making the switch to cruelty-free in your make up bag, there are a few things to consider. So read on, then treat yourself to a shopping spree and makeover! Do your research! If you have any skin issues, or sensitive skin, switching up all your products at once may play havoc on your skin. Try out a product or two at a time, making sure to test it out on a small patch of skin first. If there’s no reaction then dig in! Know the fine points of “cruelty-free“. Some products say cruelty-free, but read the fine print. Some say “finished product not tested on animals”. That’s great but it could mean that some of the ingredients were. Also, a product line might be cruelty-free, but the company that owns it isn’t. It can be confusing, but don’t stress about it! Organizations like Peta and the Humane Society are always willing to point you in the right direction and are super accessible on social media and their websites. Another thing to consider is that vegan doesn’t always mean cruelty-free. It just means the product doesn’t contain ingredients derived from animals. Make your voice heard! 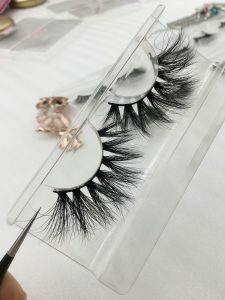 Love a product that is cruelty-free? Share the love with the company! They need to know this is something their customers value. Is there a product you’ll no longer use because it is not cruelty-free? Let that company know too! The more people who ask them to adopt cruelty-free practices, the more likely they are to listen! 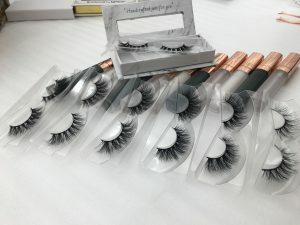 At Shalimar Lashes, we offer high quality mink lashes that are 100% cruelty-free. How is that possible? We source our fur during the minks’ natural shedding season. 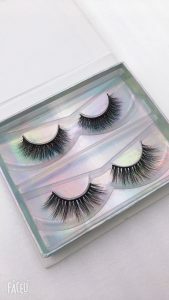 Beautiful, natural lashes, and safe, happy minks, win/win! We would love to help you learn more about cruelty-free living and how to enhance your natural beauty!